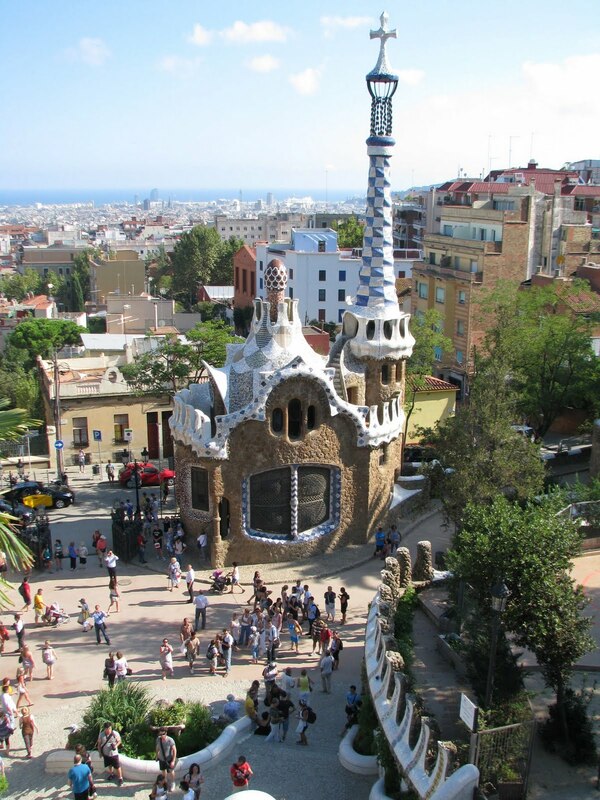 Gaudi is Catalunya's best known architect. He did most of his work between the 1880s and 1910, and was a leader in Barcelona's Modernism movement in art (to the British and French, this movement was called Art Nouveau). 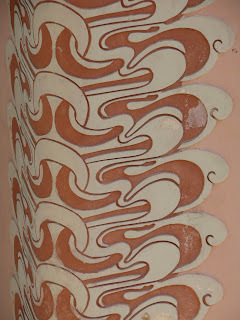 Art Nouveau was rebellious and vibrant. 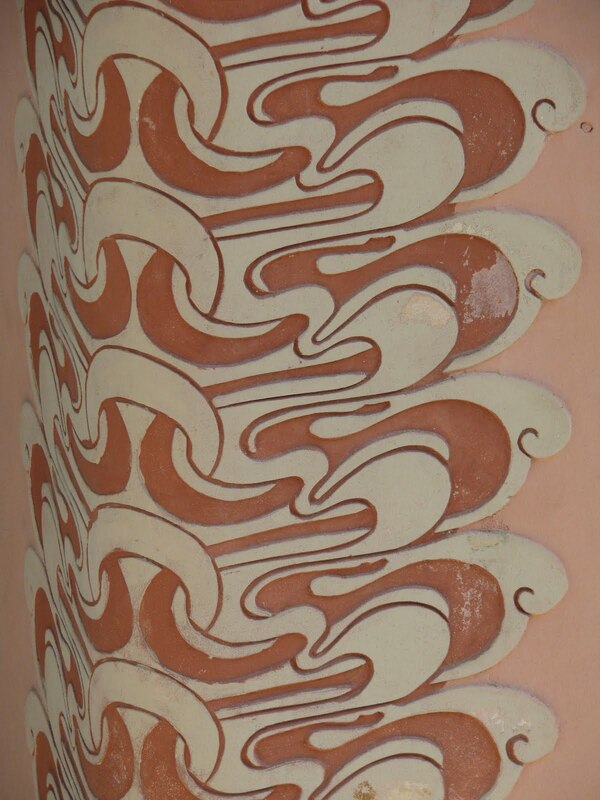 One of its common features across these European countries was its sensuous curve, inspired by Japanese art. 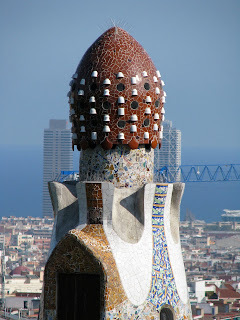 Gaudi was a freelance architect, so his work can be found all over the city. 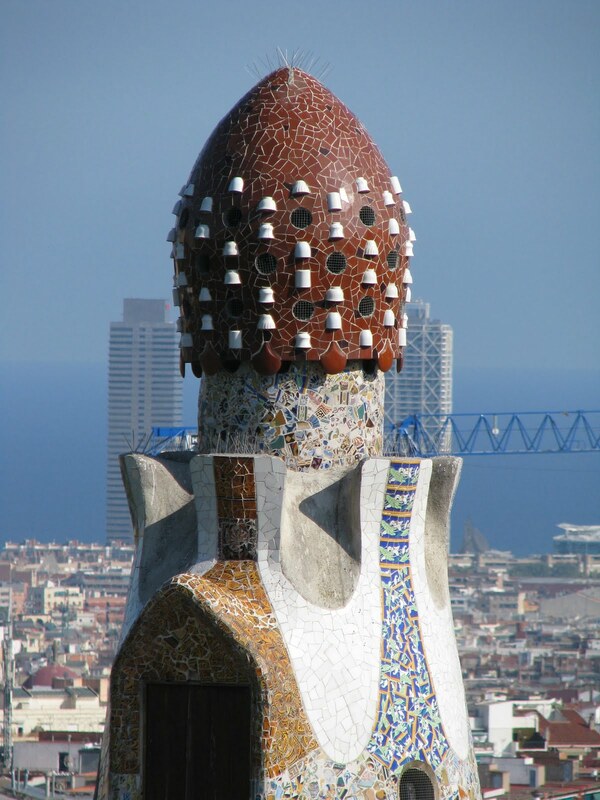 His biggest projects were for the wealthy bourgeoisie, his main patron, Eusebi Guell. In 1900, Count Guell purchased Muntanya Pelada, a tree-covered hillside at that time outside of Barcelona, and commissioned Gaudi to create a miniature city of houses for the wealthy, amongst landscaping. 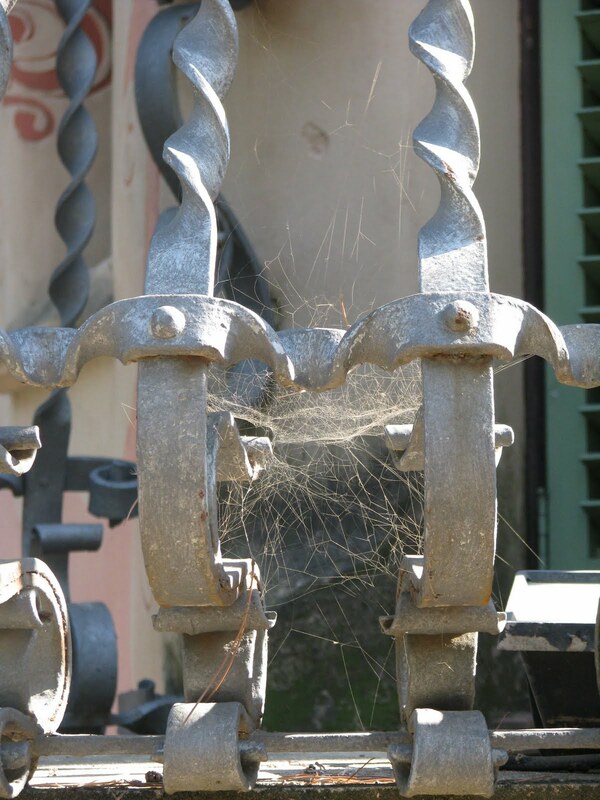 Gaudi was initially trained in metalwork, before going to school to study architecture. 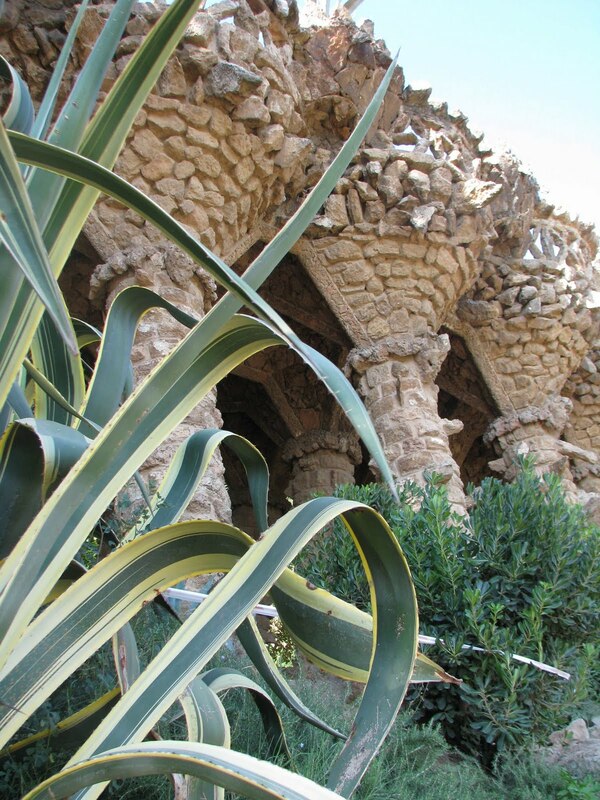 Park Guell would be his first major hand at landscape architecture. Count Guell had just returned from a trip to England, where the lively debate about garden-cities ensued. 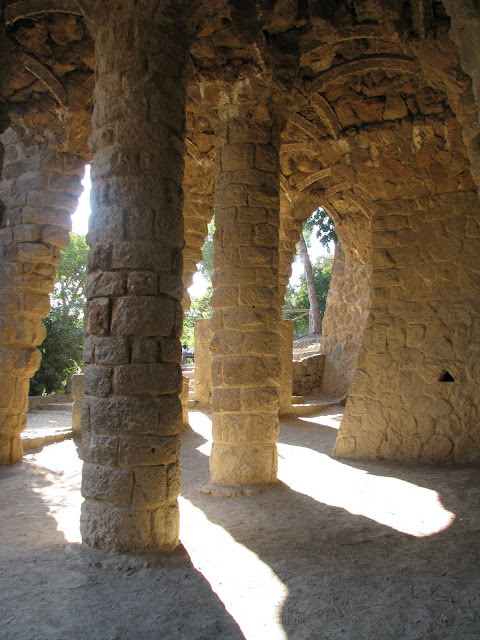 The underlying principle of blending city and countryside was behind Guell's vision for Guell Park. This idea of a garden-city was not very popular with the bourgeoisie, and only a few lots were sold, one of which to Guadi himself, who built a show house. 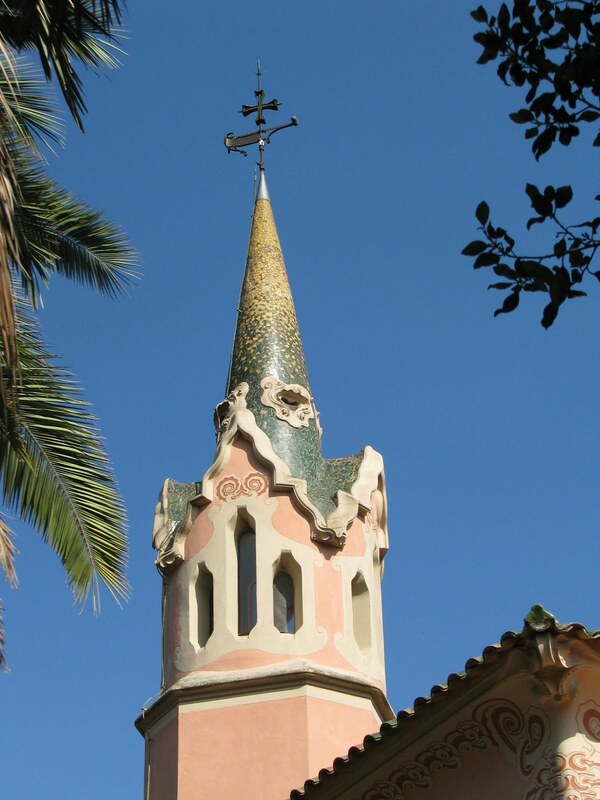 The project commercially flopped and was abandoned four years after Gaudi began. Count Guell lived in a house in the park until he died in 1923. 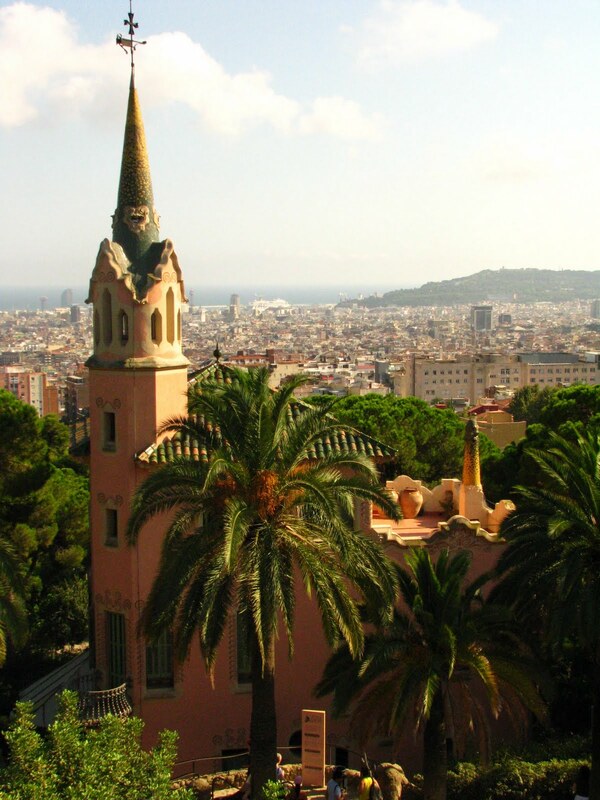 At this time, Guell's son donated the park to Barcelona municipal council who turned it into a public park. The park is entrenched in tourists year-round. It's best to head up there later in the day if you want a peaceful park experience. I headed there after school one day; it's a 30 minute walk from my apartment. From the summit, there is a view of the sea and the city. Framed between these pines, you can see Gaudi's other half-finished work: La Sagrada Familia (a church estimated to be finished in the 2040s). This is the house Gaudi had built for himself, and lived in for the last 20 years of his life. 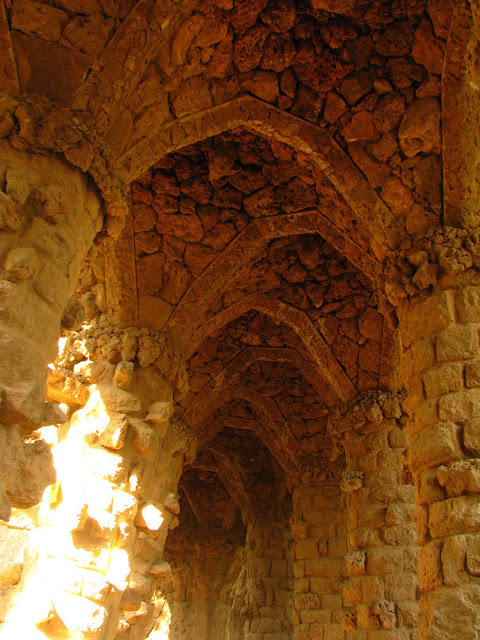 In 1984, UNESCO claimed it as a World Heritage Site. 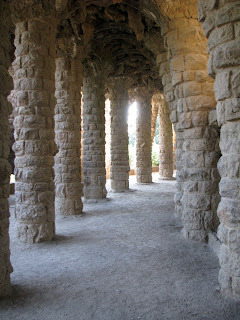 Gaudi had a strong drive to blend nature and architecture. 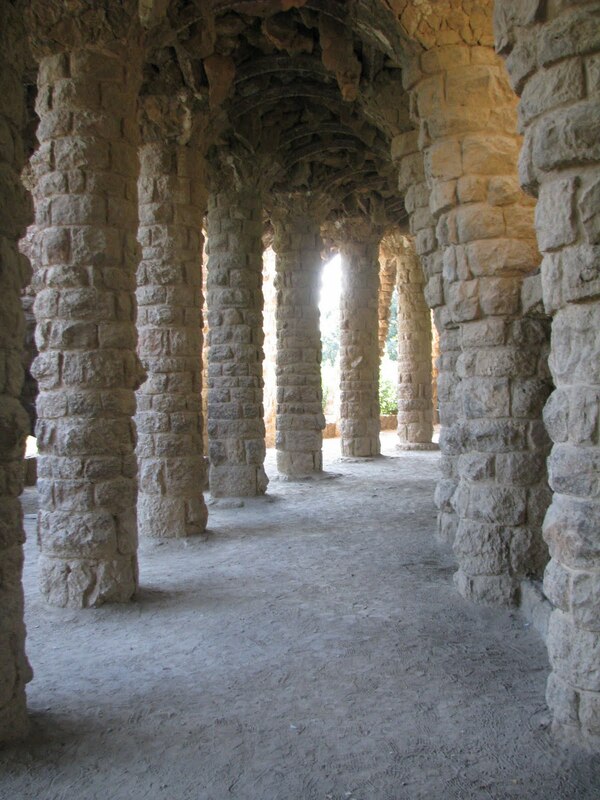 He tried to transpose things he saw in the natural world into stone, as can be seen in these colonnaded walkways in the park. These paths follow the contours of steep, rocky terrain; he didn't alter the terrain with excavation, but rather worked with it. 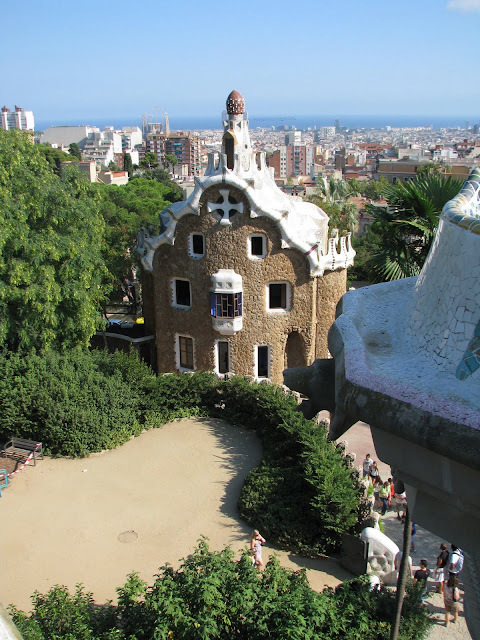 These buildings may have been inspired by Humperdinck's opera Hansel and Gretel, which was playing at Barcelona's Liceu theatre at the time. They can be seen from the Greek theatre.